The millionaire, Ty Warner, was fined an estimated U.S. $53 million dollars for federal income tax evasion. Federal prosecutors found that Warner had secret Swiss bank accounts that he had not included on his income tax statements. Whether he will get five years in prison remains to be seen. The Illinois millionaire has investments that include the Four Seasons Hotel in New York City, the Sandpiper Golf Course, the Four Seasons Resort in Santa Barbara, California, the San Ysidro Ranch in Montecito, California, and the Kona Village resort in Hawaii. Ty Warner made his fortune from the now famous product Beanie Babies. Those cute little stuff toys that were all the rage back in the 1990’s were his creation. I remember how popular they were not only with children but even with adults who started collecting Beanie Babies. In fact, they became all the rage at the time, and this remained true even in the early 2000’s. Ty Warner made a fortune with the Beanie Babies—at the peak of the Beanie Baby craze he was earning U.S. 700 million a year. This has made Beanie Babies one of the most popular toys in U.S. history. 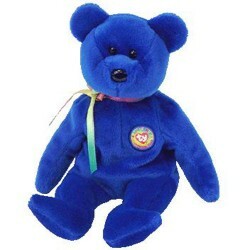 Bear in mind though that like so many toys being made at the time, the Beanie Babies were made in China. One of the reasons I never bought these was because they were being made by low-wage, brutally worked and just as equally brutally treated Chinese labor. People who were worked 12 hours a day, seven days a week were made to make Beanie Babies (I pray his Beanie Babies were not made with prison slave labor from China’s infamous slave labor prison system the laogai). For all of Ty Warner’s philanthropy, why didn’t he have his Beanie Babies made in the U.S.A. by hardworking, well-paid American labor?! Think of all the American jobs he could have created! Fine, he has been generous with his money by donating U..S. $6 million to the Andre Agassi Foundation for under-privileged children in Las Angeles, and U.S. $3 million for the creation of Ty Warner Park in Westmont, Illinois. One can cite more examples of his philanthropy, like the $20,000 he gave to a woman in Santa Barbara to cover the operation costs for a stem-cell operation she needed to save her life. These things are notable and should be remembered. But they do not change the fact that he had intentionally broken U.S. tax laws and that Lord knows how many hundreds of thousands of Chinese workers had paid the price for Ty Warner to make such huge, unbelievable profits from making his Beanie Babies?! Of course, Ty Warner is but one millionaire who has shirked, skirted and violated U.S. tax laws, and only one example of those rich (I do not put all rich in the same category) who have used low-wage labor and maybe even slave labor to have their products made. Maybe there isn’t much money to be made anymore in investing in paying good wage, skilled American labor like there used to be. But if it were me, I would rather invest in good wage, high-skilled American labor because I believe in investing in freedom!